In a blog post given the sloppy title "Letter to a certain Tiglao", Raissa presumes to respond to Manila Times columnist Bobi Tiglao who, in his article "It was Aquino, not Duterte, whom Cambridge Analytica 'helped' become President", completely eviscerated allegations made by Robles in a South China Morning Post article that current Philippine President Rodrigo Duterte won the 2016 elections aided by SCL, parent company of the notorious Cambridge Analytica. And then (5) concludes that Tiglao "has nothing". The rest of the article was a mere litany of whataboutisms -- basically incoherent nitpicking. No counterarguments of any consequence addresses any of Tiglao's most pertinent points. The real outrage here is how certain noted "journalists" seem inclined to defer to Robles's stature as God's Gift to Philippine Investigative Journalism. 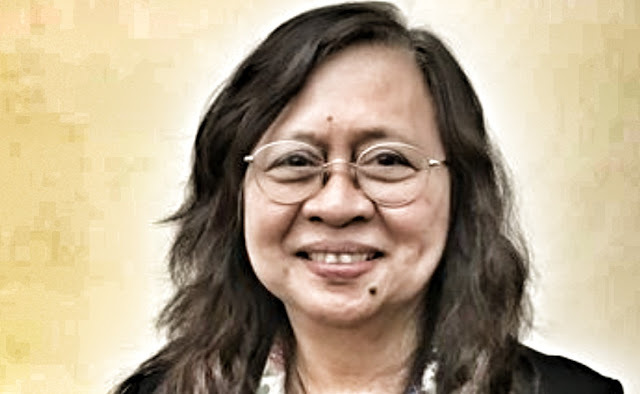 This deference can be seen in a tweet fielded by noted "thought leader" and Philippine journalism stalwart in her own right, Ms Inday Espina Varona in which she shares a link to Robles's blog post.. Shared Tiglao’s column. Here’s Raissa’s response. Enjoy! It is astounding that a journalist of Varona's calibre would simply share such sloppy infantile work with nary the slightest citation on its evident inadvertent intent to insult the intelligence of the average Filipino reader. So much for uplifting the national discourse. People like these are the real problem.